During hot months in the Naples area, generally May until November, the temperature generally exceeds 85 degrees. When it does I apply a systemic fungicide to my lawn, which aids in controlling gray leaf spot and brown patch. 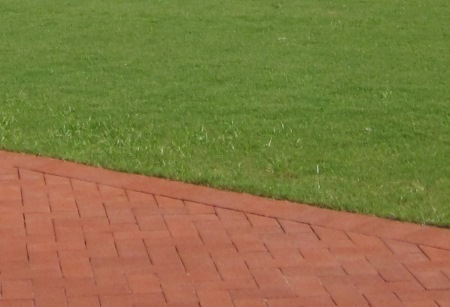 These are common diseases that attack lawns in our area. During the cool months, or generally 85 degrees and cooler, I apply herbicide to help control broadleaf weeds. Also applying liquid fertilizer to stimulate growth, giving the lawn nutrients during their low activity growing season. A few times per year I also add a pre-emergent, this helps keep crabgrass from forming in the lawn though doesn’t kill existing plants. Premier Pest Management, a locally-owned and operated Naples pest control company. 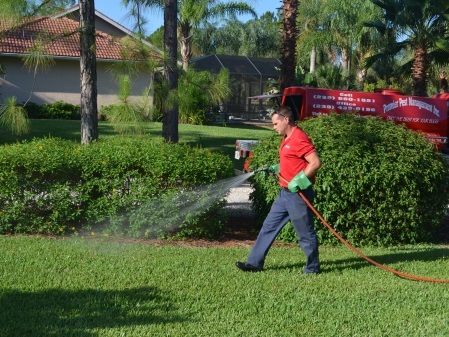 We offer a variety of pest control services for SWFL homes and businesses.